You’ve heard it before: sometimes it’s not what, but who you know. 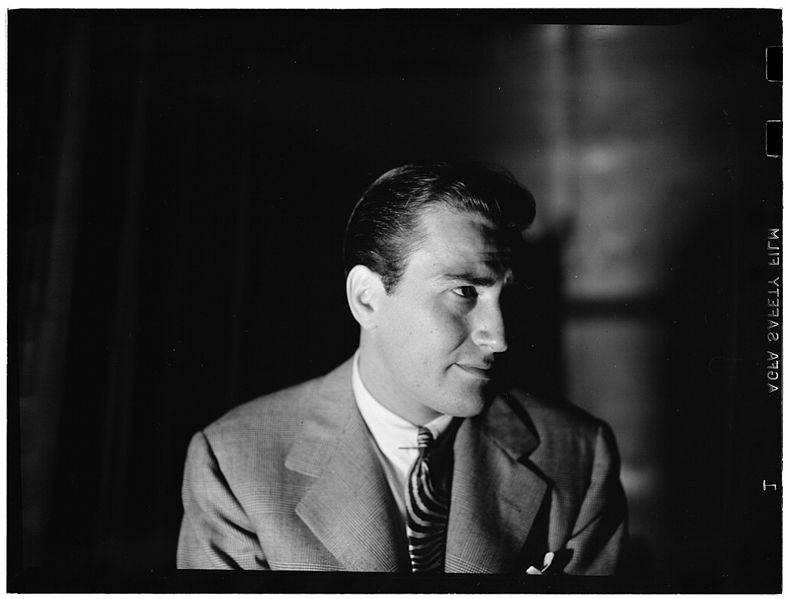 Though he was certainly no slouch himself, Artie Shaw knew how to surround himself with the right people. Over his career, he signed both high-powered drummer Buddy Rich, and iconic songstress Billie Holiday. This made him the first bandleader to tour the South with a black lead singer. He sold more than 100 million records, and you’re listening to one of them. This is Dancing in the Dark from 1941. He also surrounded himself with a bevy of leading ladies, marrying Lana Turner, Ava Gardner and six other wives over his lifetime. According to all accounts, including his own he was a “very difficult man”. Seems like it. But he was also a multi-talented one; He studied advanced math, dabbled in “The Pictures”, and authored both fiction and non-fiction works.